Unreal Software - Thread: Custom GFX and SFX? CS2D Scripts Custom GFX and SFX? Something in the game cannot be changed such as smoke'/gas' effects. Only me or other players can see too? When I was looking at the screenshots, I wonder this is like a sign of good mods for future releases. HAve script to replace the files for other people? @ Jedediastwo: A script to change sounds/gfx when joining a server is impossible to make I guess. 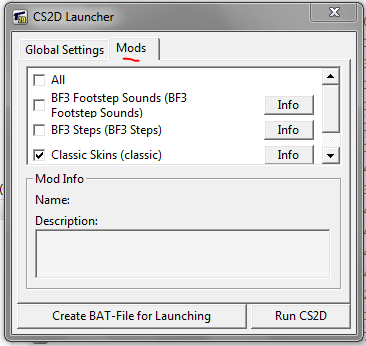 CS2D loads all files needed to play at startup and it's impossible to change it when playing.